PACKAGE DEAL!! 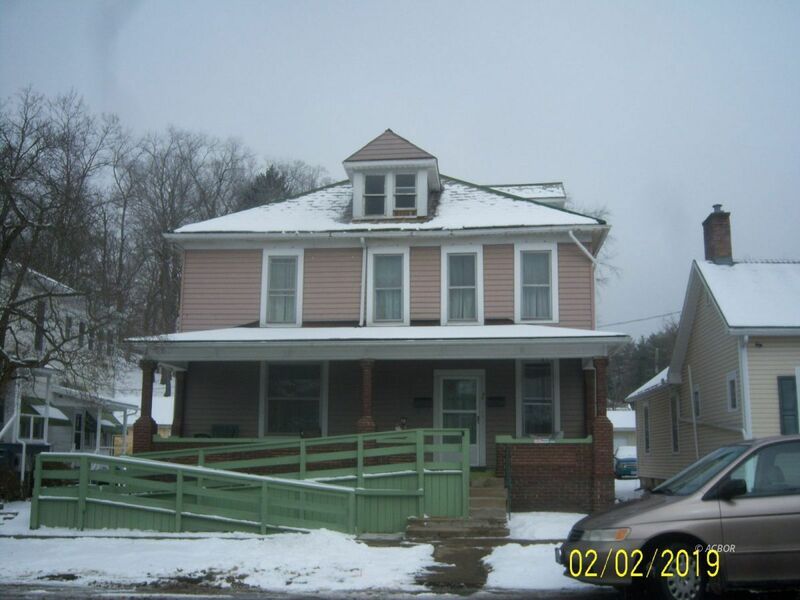 #1) 2 story,4 bdrm.,open attic,1 1/2 baths,8 rooms total. 2,180 sq.ft. ATA New furnace 2017. Blown in insulation.Needs some cosmetic repairs. Handicap accessible with option for chair lift. #2) Rear of #1) Brick carriage house,upstairs 2 bdrms,1 bath, open living/kitchen area.New furnace( 2017)and laundry area on lower level.Approximately 700 sq.ft. ATA. #3) 2 bdrm.,1 1/2 bath, ranch. 6 rooms total. Formerly housed an Insurance office. 1,102 sq.ft. ATA . Detached 2 car garage built in 2012. Much potential for rental income not only to pay mortgage but to invest in repairs.